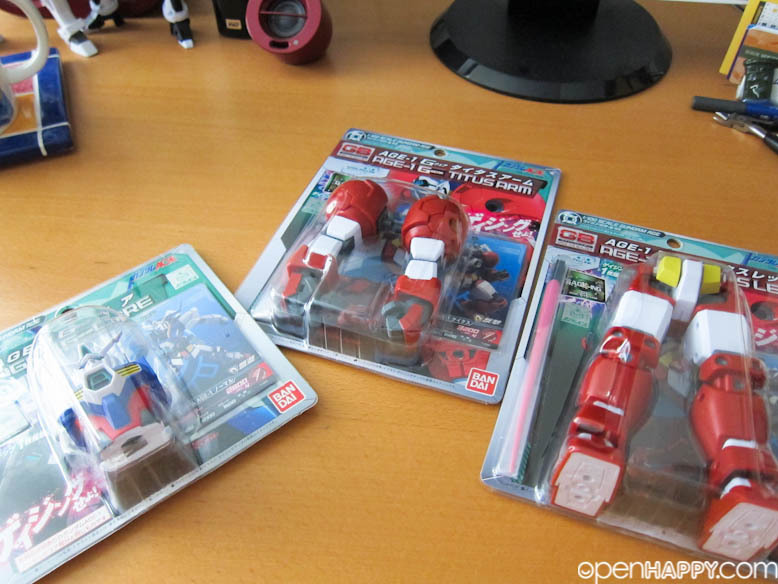 I got the toys before watching the show. 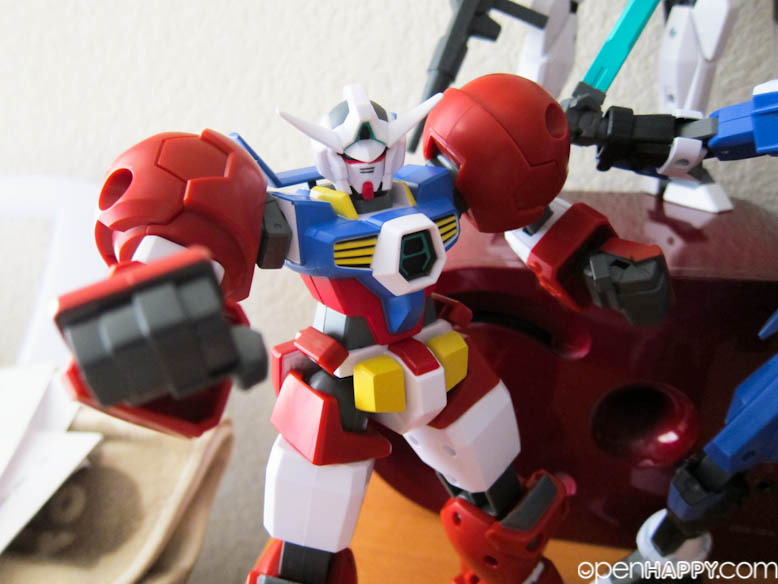 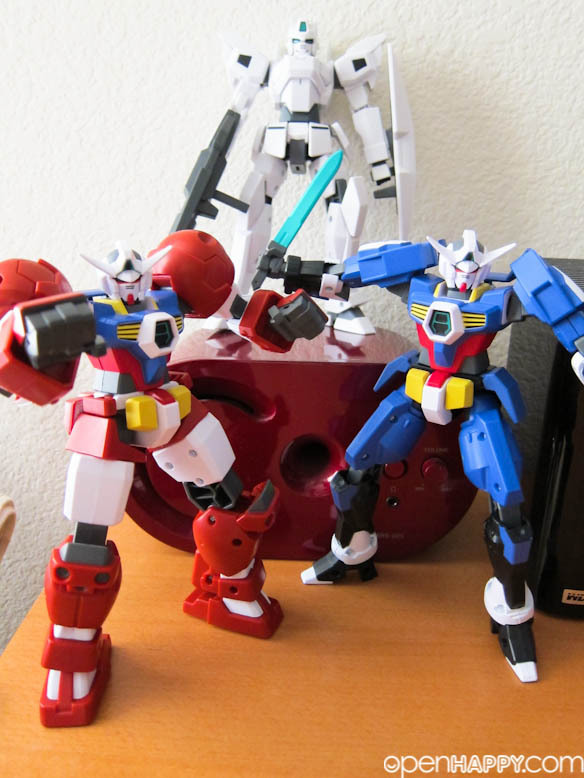 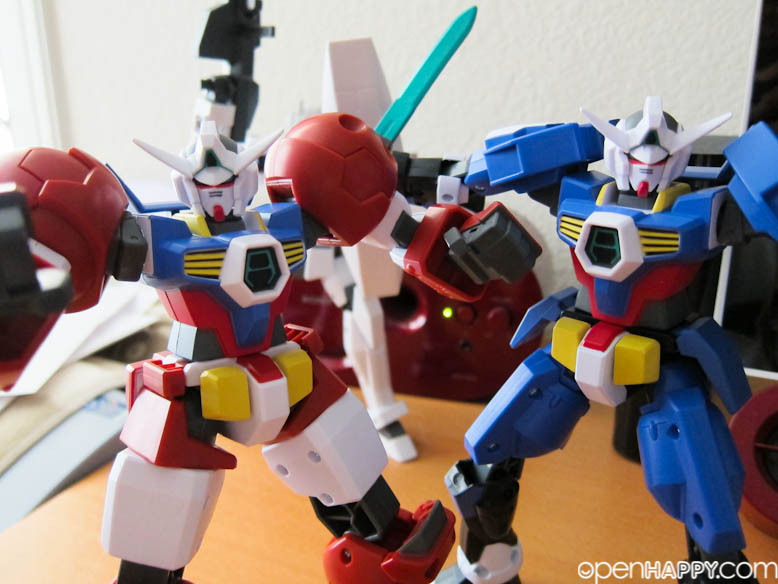 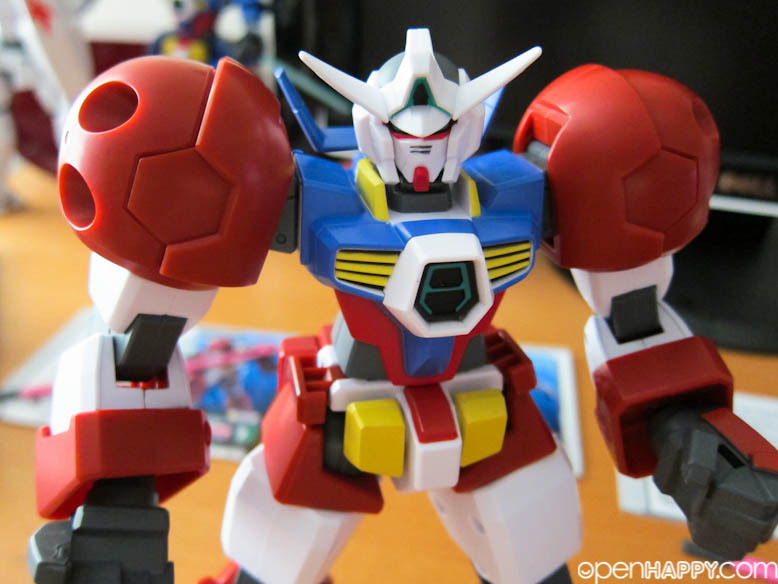 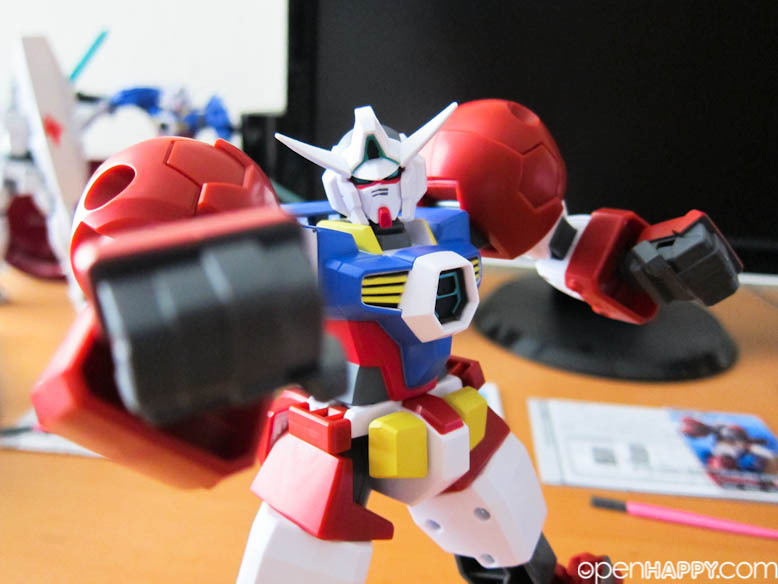 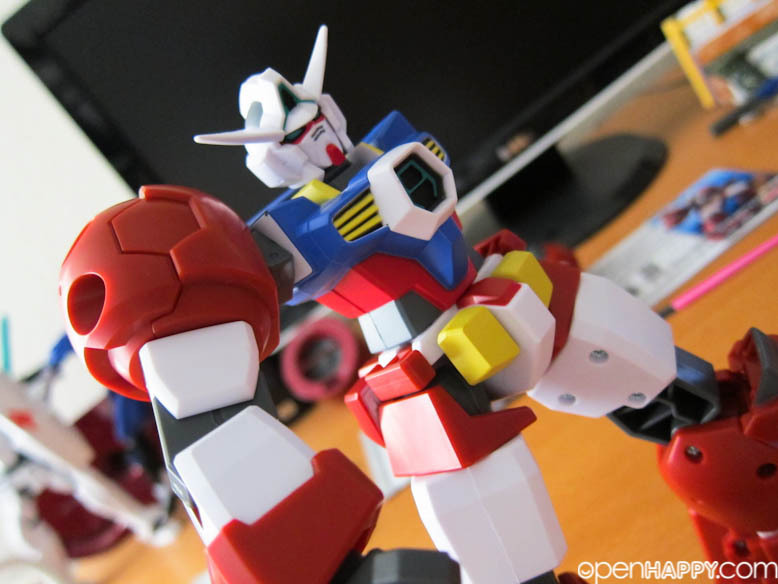 I was gussing this is going to be called "Football" Gundam. 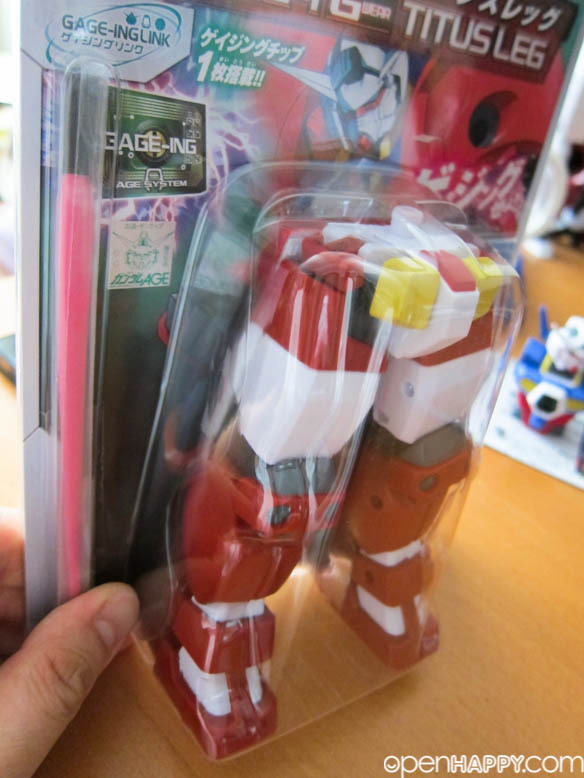 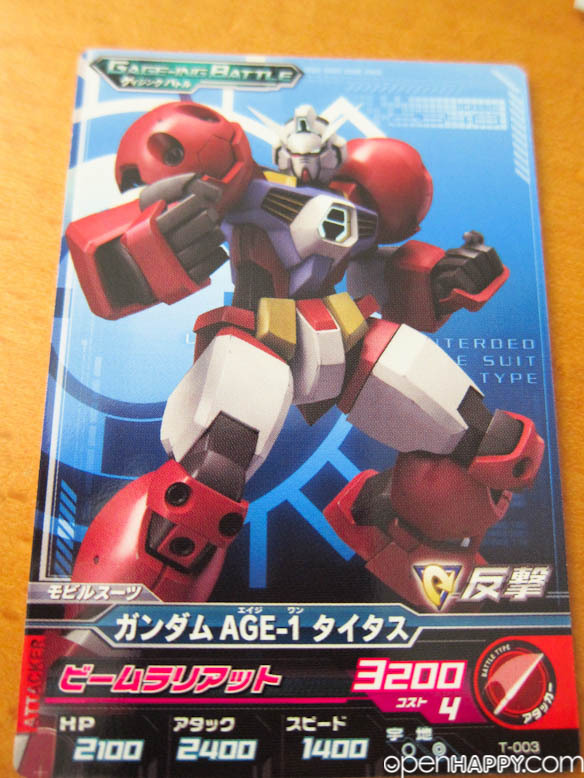 But it turns out it is named Gundam Age-1 Titus. 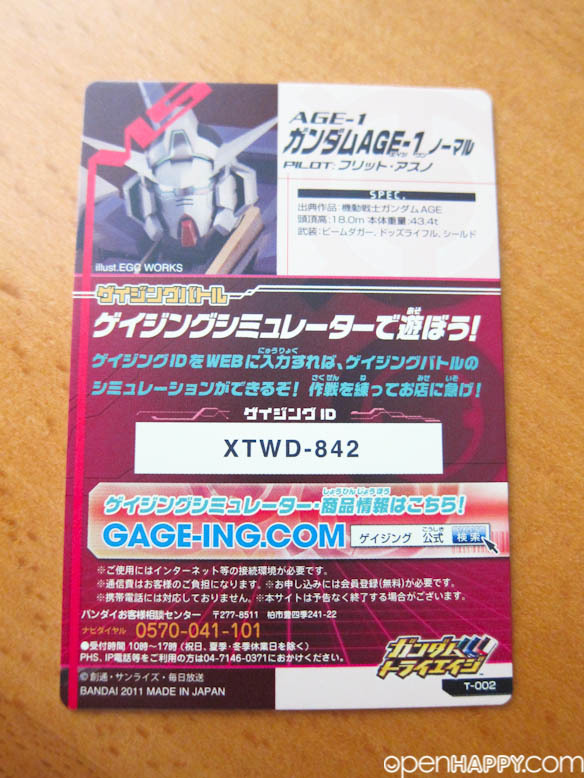 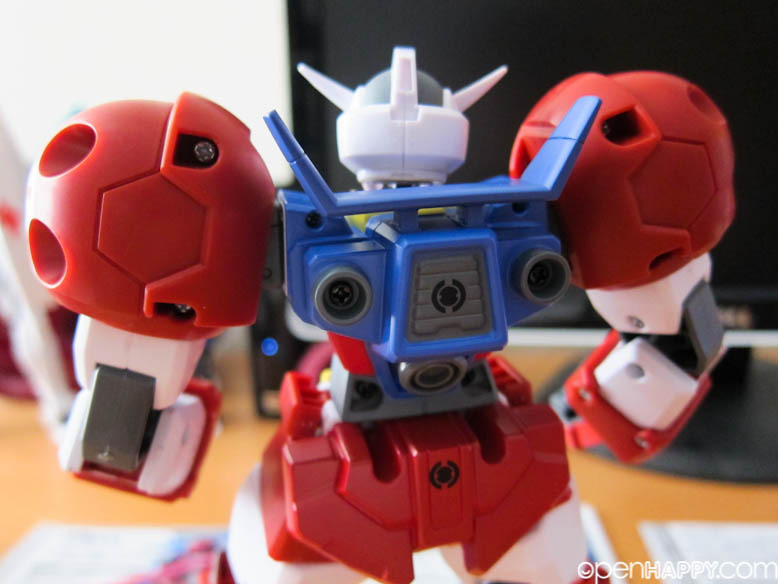 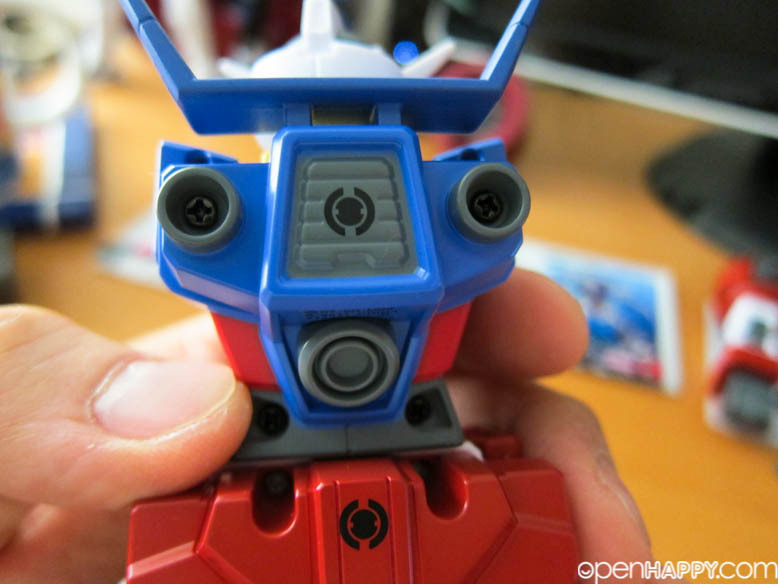 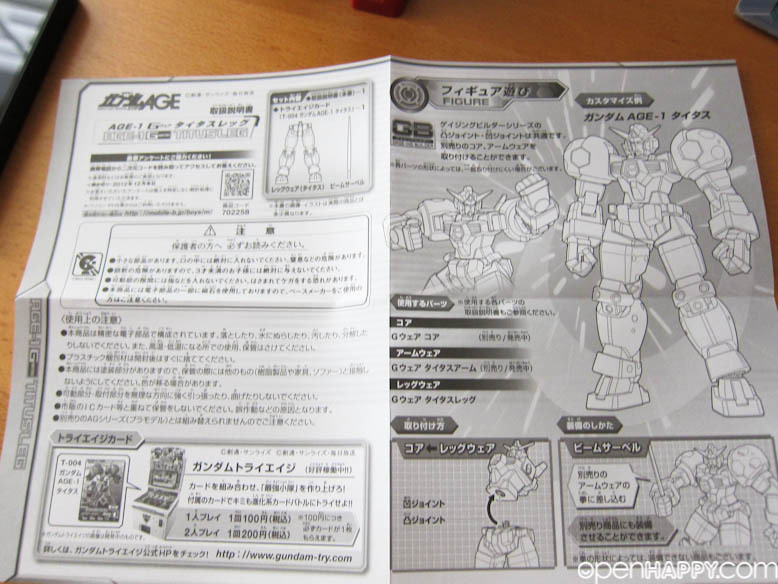 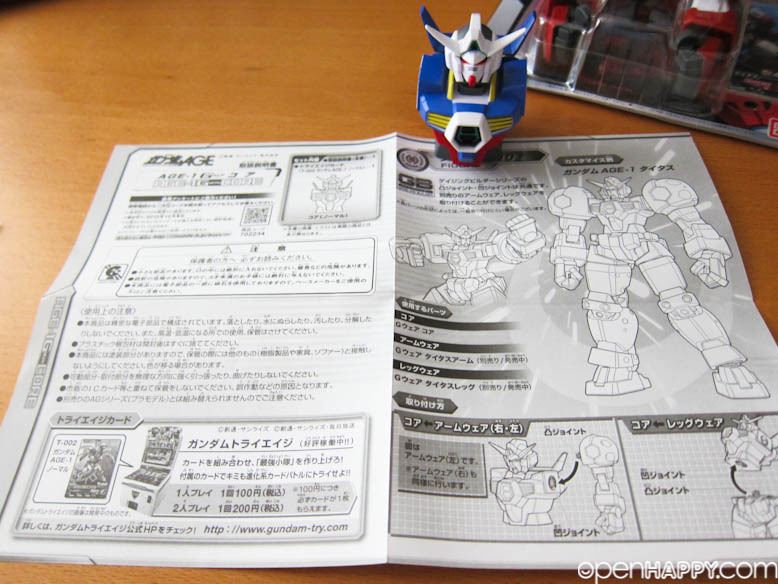 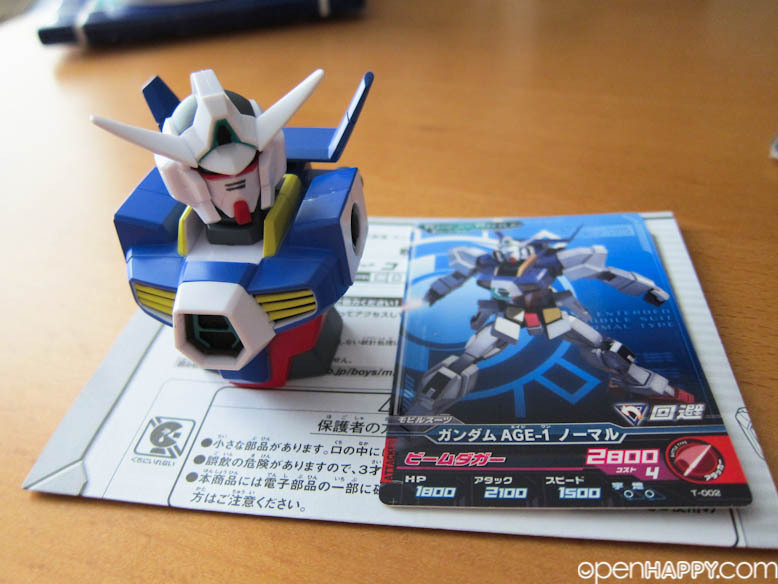 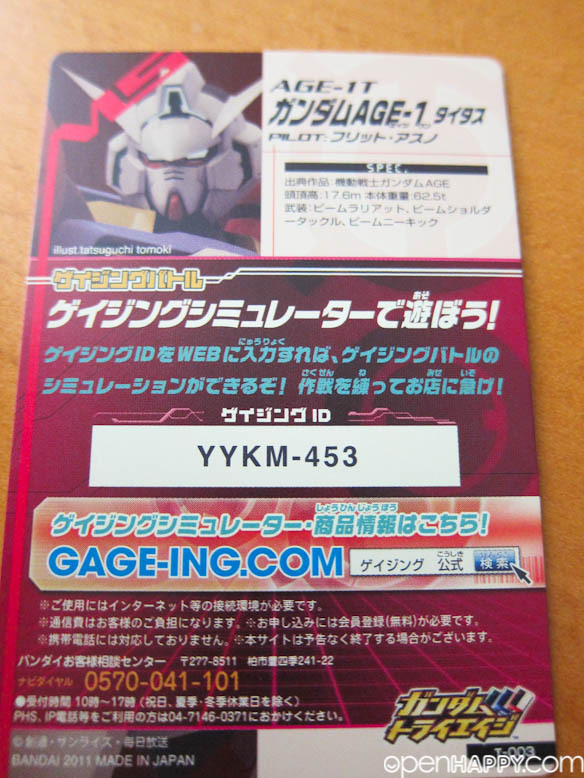 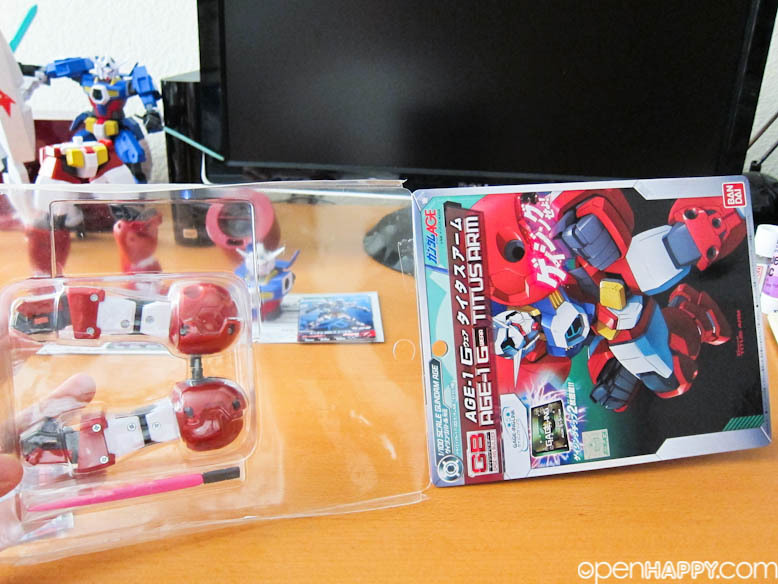 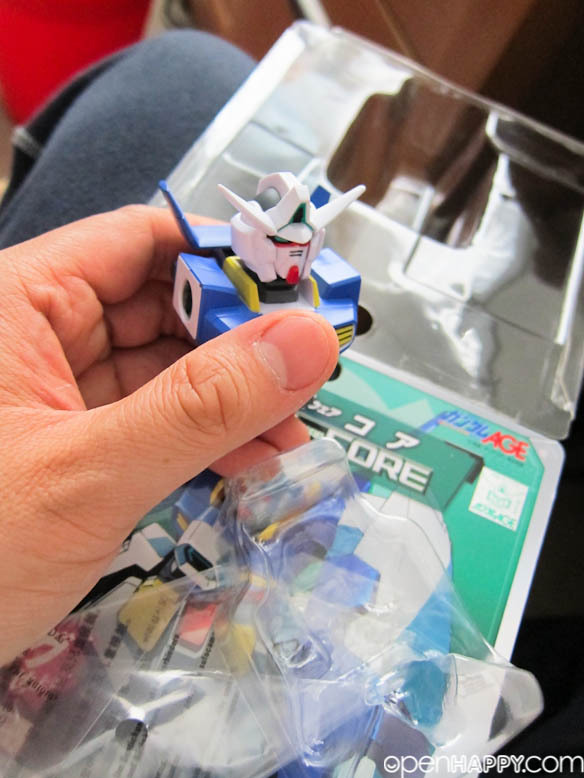 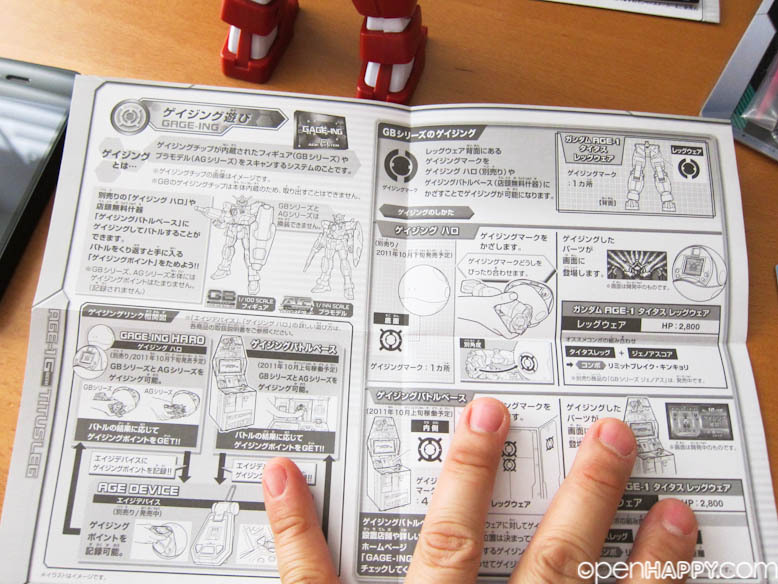 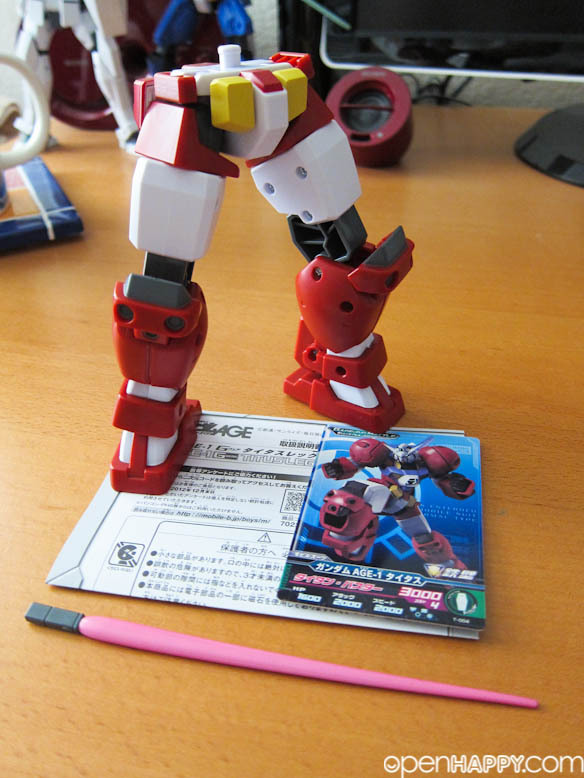 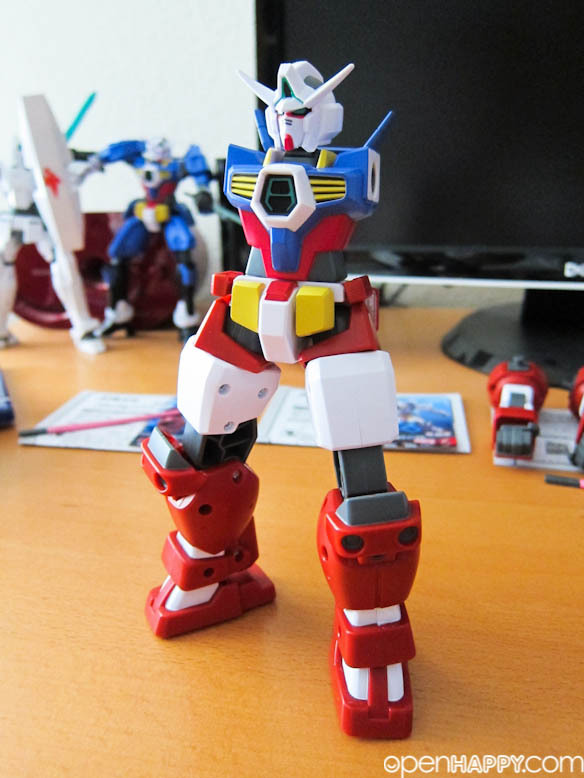 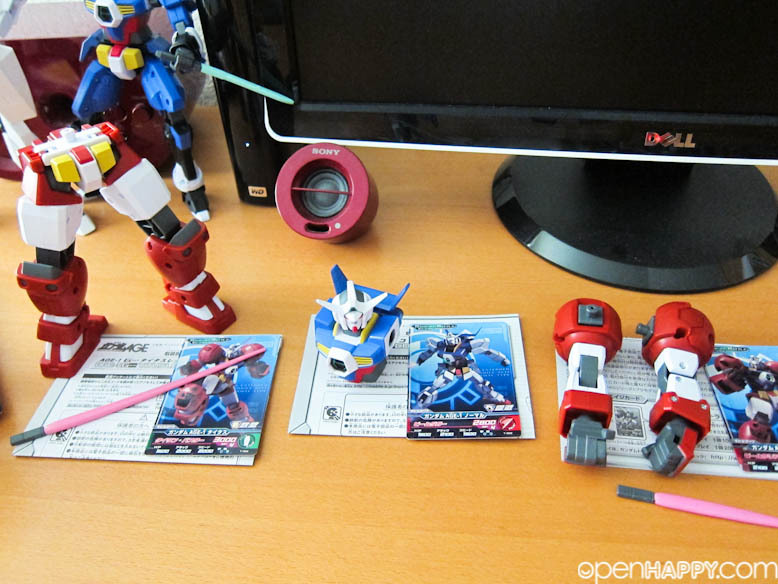 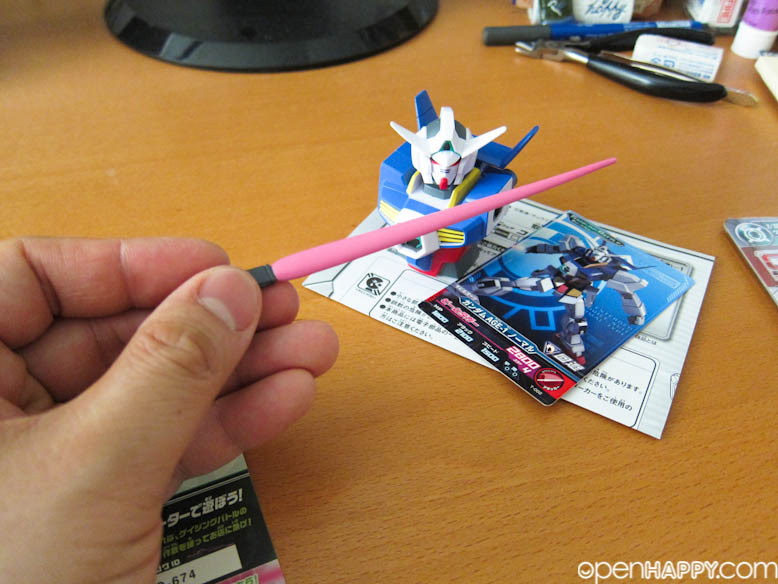 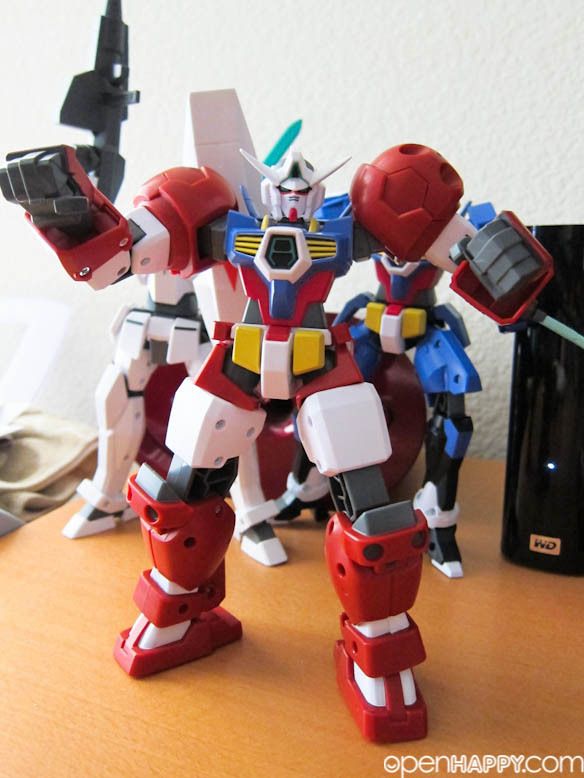 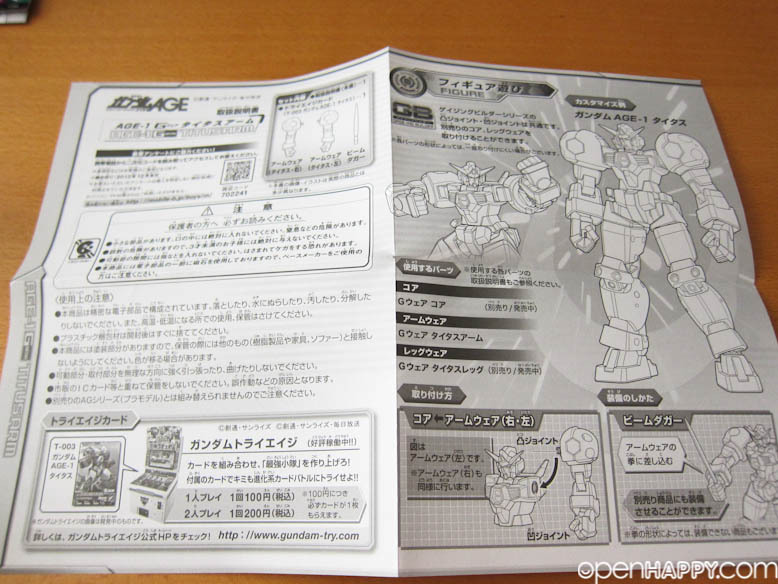 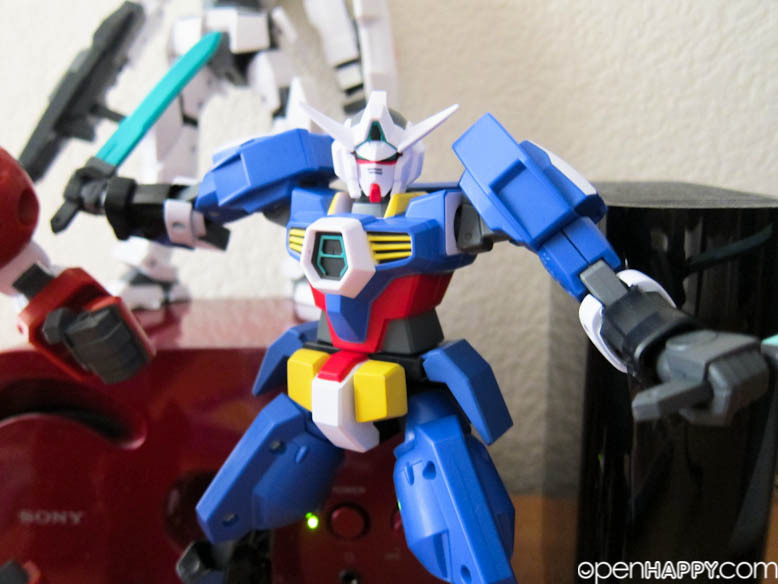 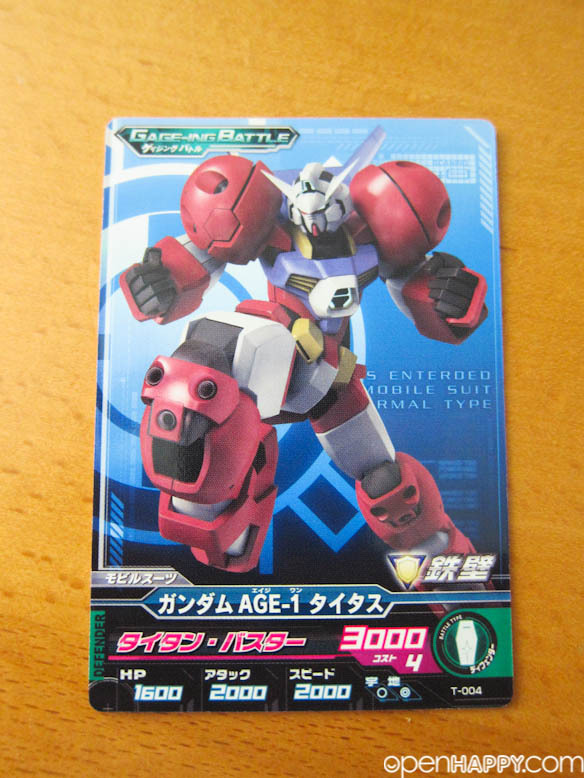 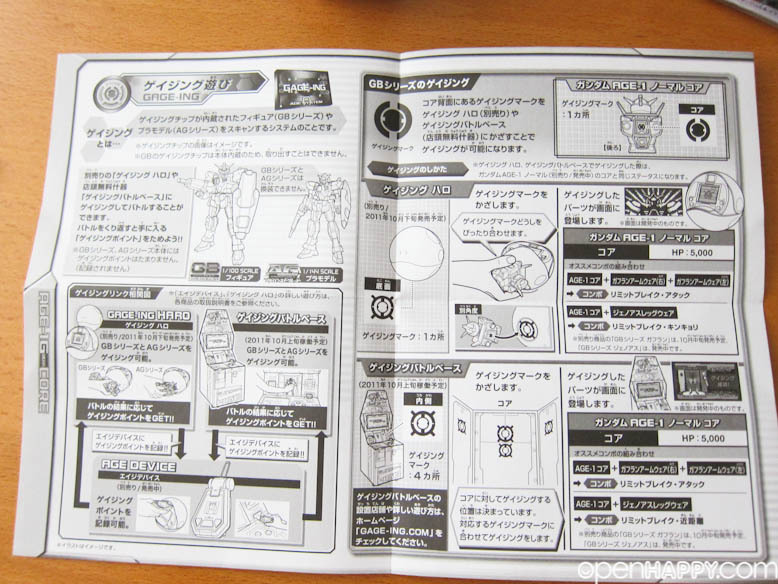 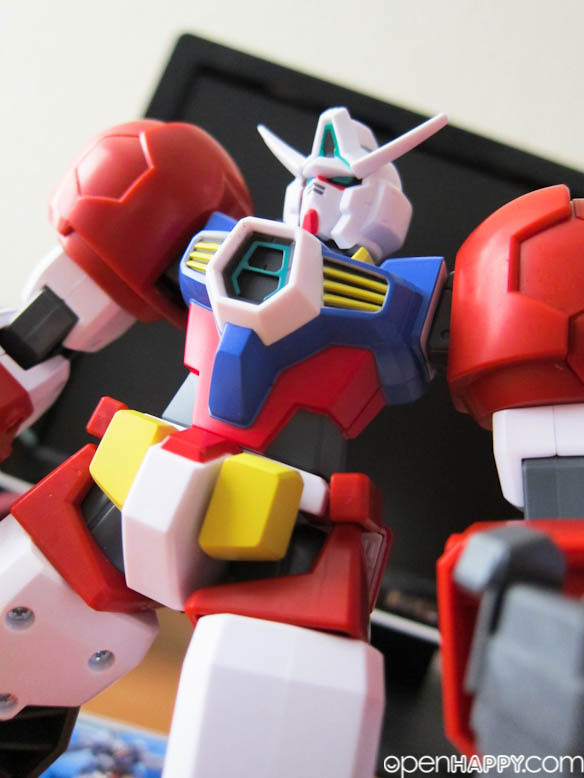 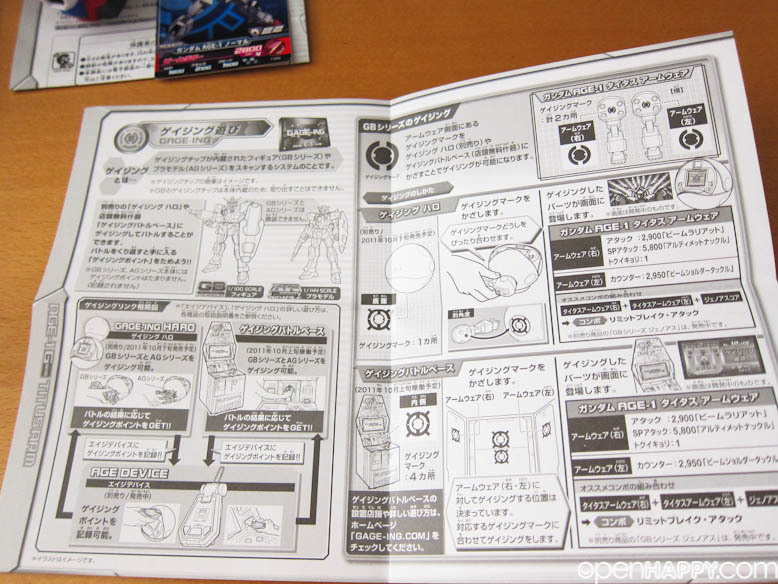 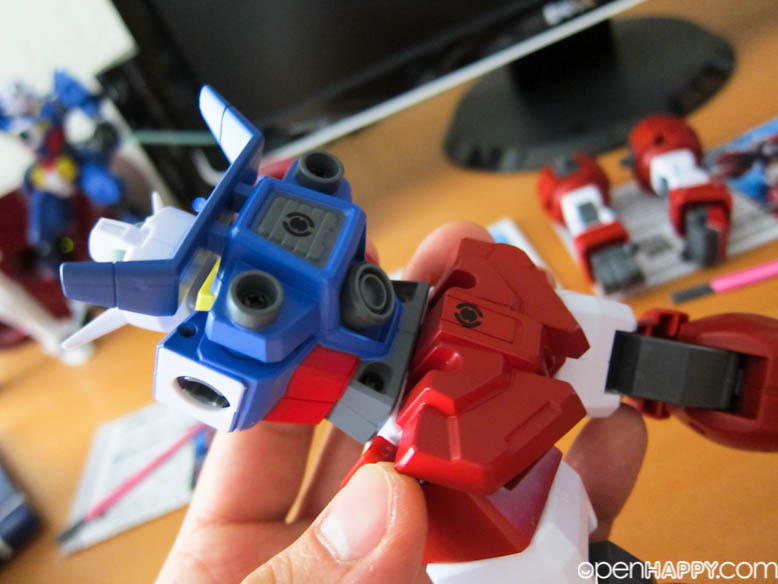 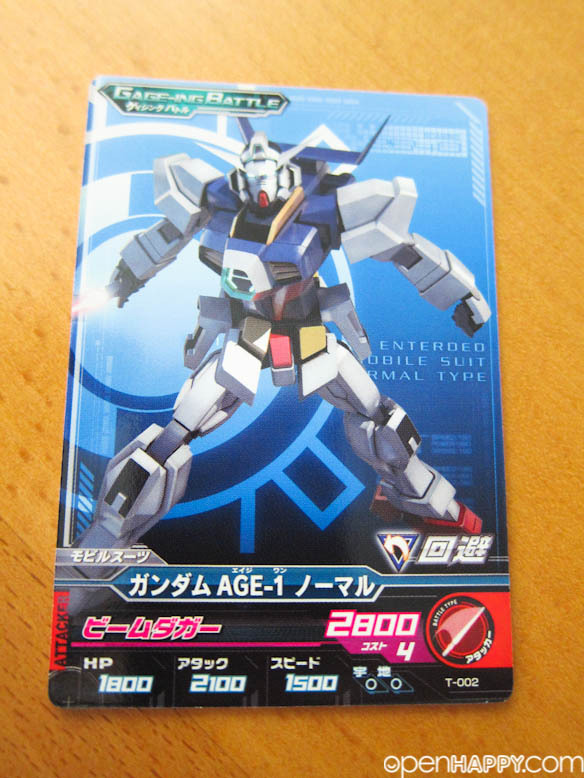 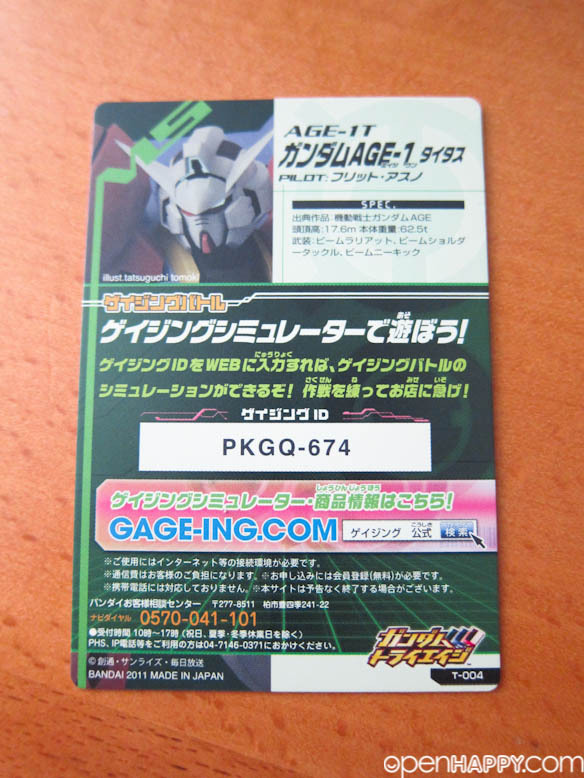 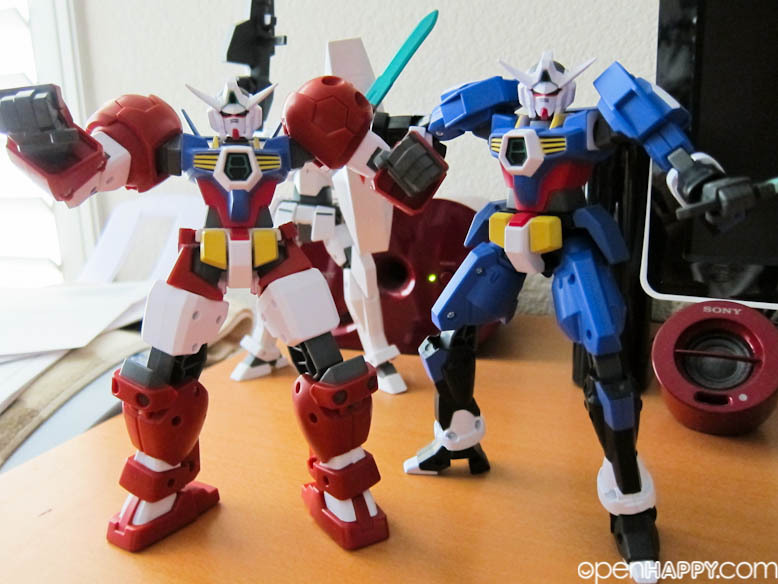 It is a new form of the Gundam AGE-1 developed by the AGE System. 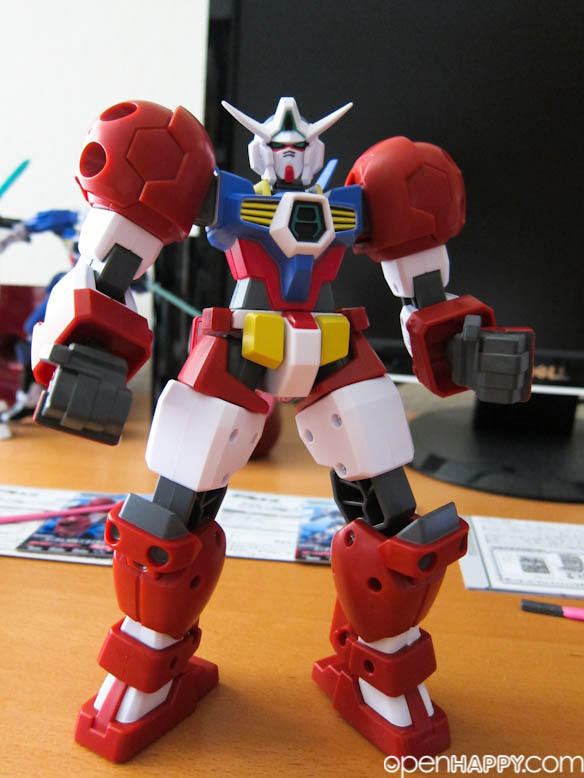 Reminiscent of a wrestler, the Titus is a specialized melee combat form and the emitters across its body allow it to perform devastating physical attacks. 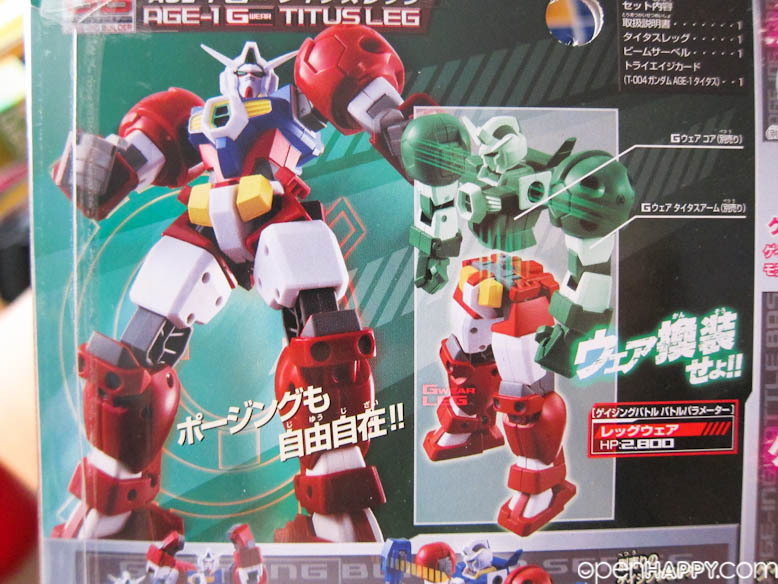 The Titus was developed to counter the ovv-a Baqto for the AGE System's answer was to demonstrate overwhelming combat power that combines offense and defense. 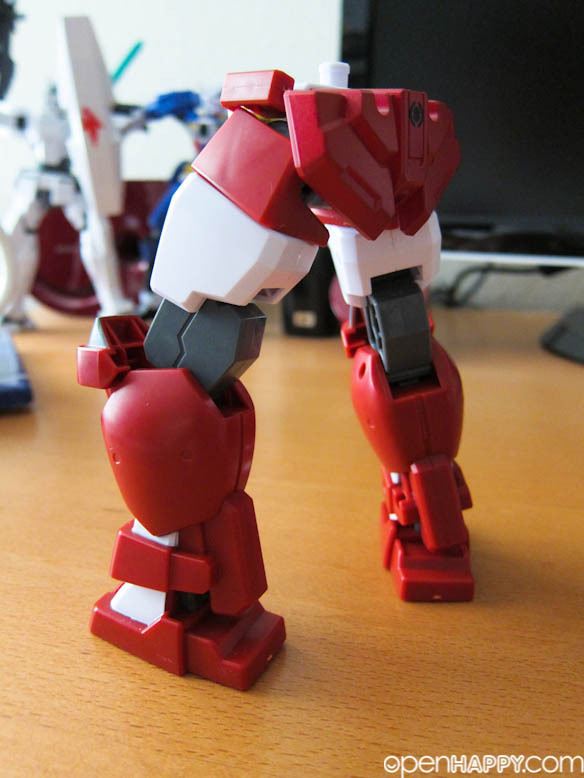 It is fat or heavy. 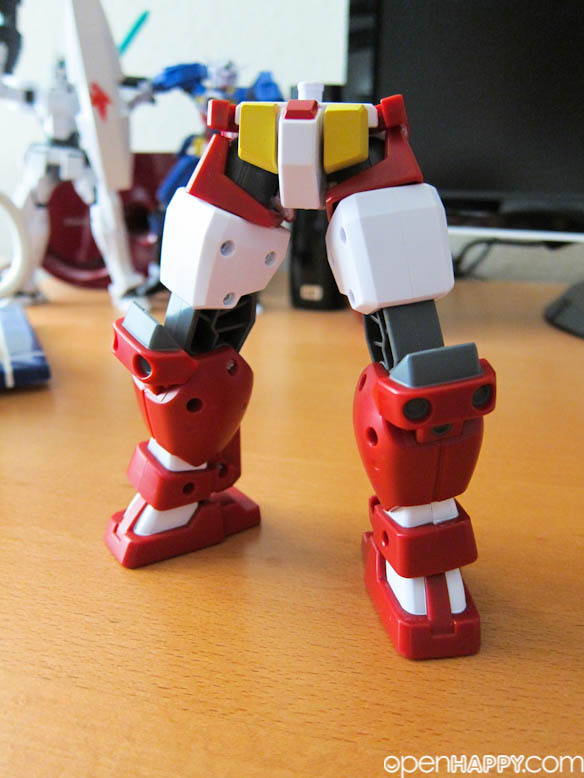 And I like armor type of stuffs, so I enjoy the look and feel of titus a lot. 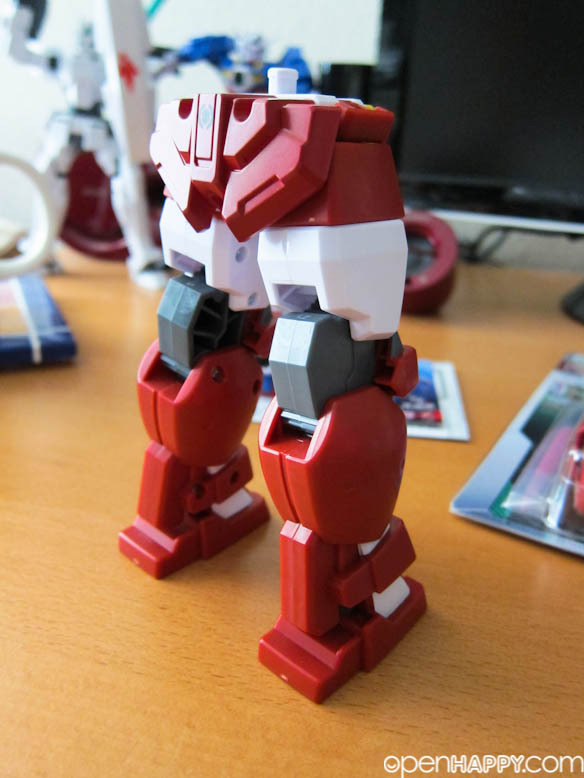 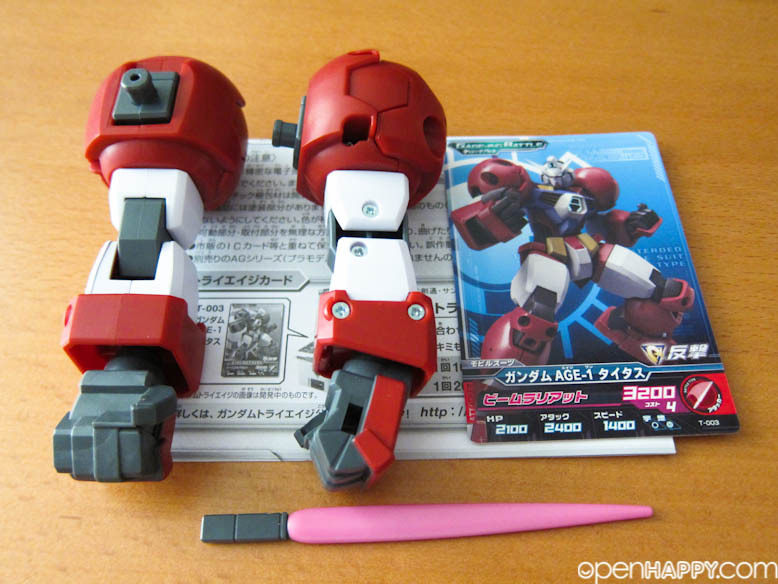 Titus does not come by itself, you have to get the legs and arms part separately. 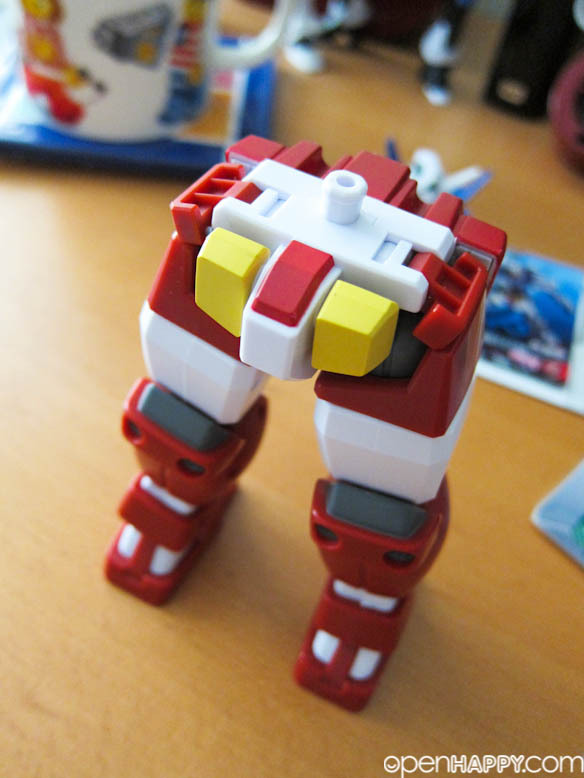 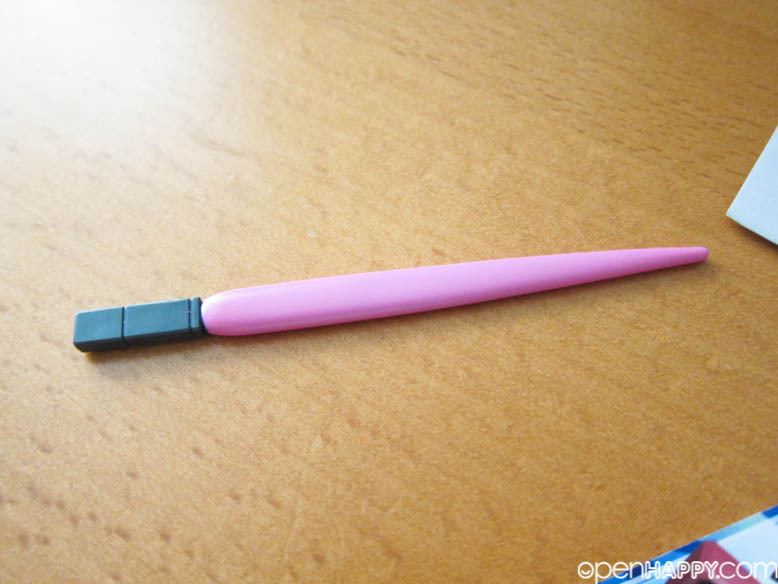 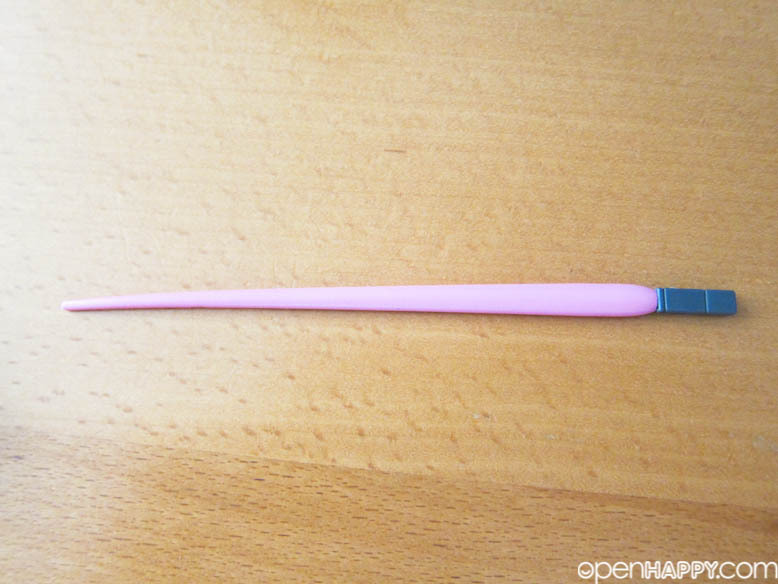 Since you want it to stand up by itself, you have to get the core as well. 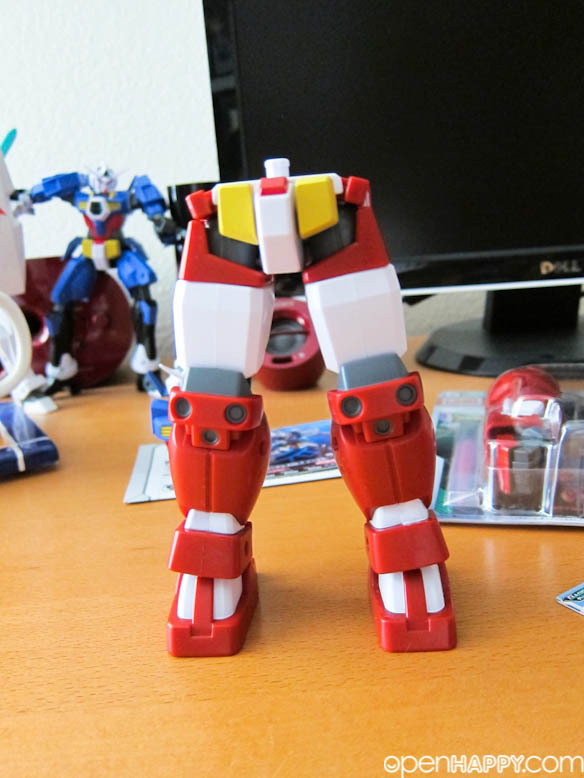 Here is the leg parts. 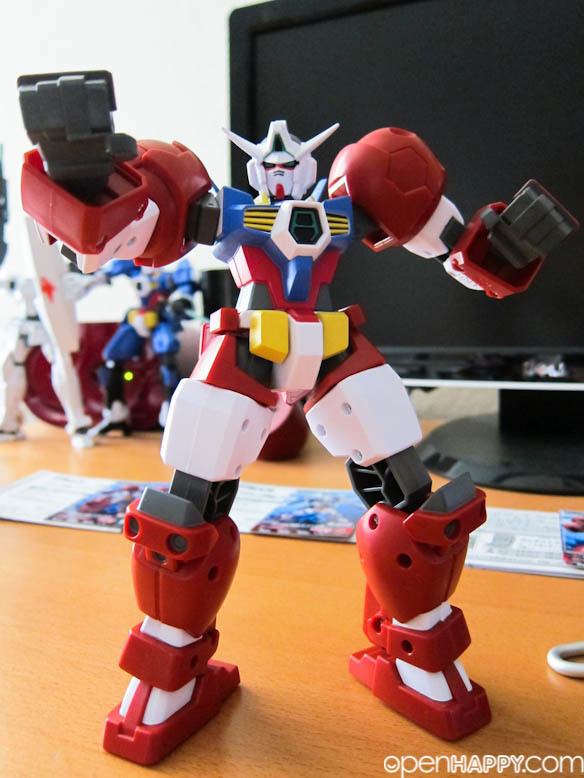 When you pose it, it actually looks pretty fun. 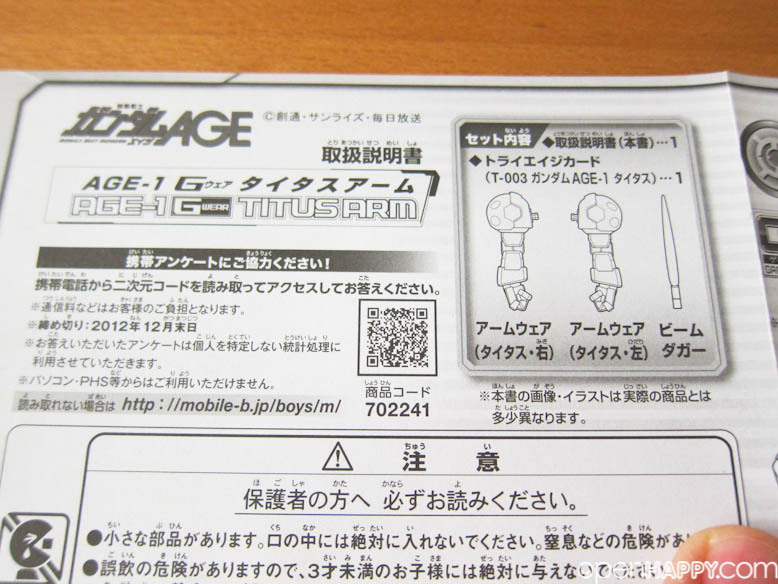 It comes with weapons for age-1 normal.